Clickers, BYOD … why not combine both? As of January 1, 2016 Polls by Blackboard was disabled. Blackboard is staying ahead of the game not only with their Learning Management System, but with Mobile Learning. They just released Mobile Learn 4.0, but they have also just released Polls by Blackboard. Polls is bringing teachers the technology of having clickers for FREE right to your mobile device. No hardware is required, as long as your student have a mobile device you are ready to go. It doesn’t even need to be a smartphone. Students can participate with Polls by downloading the native iOS app, visiting polls.bb or simply by using SMS text messages. 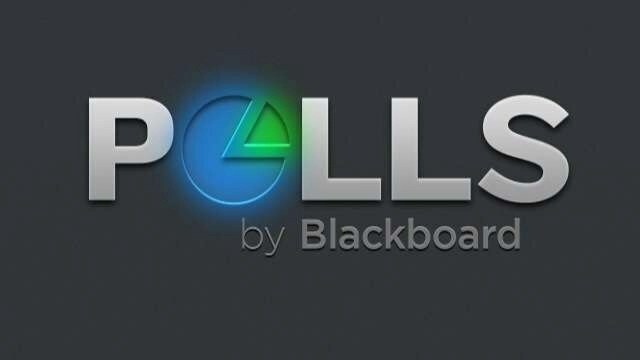 To get started with Polls by Blackboard, simply visit polls.bb and signin with your Facebook account. Unfortunately, at this time you can only create polls with a Facebook account. When creating your poll you can create Multiple Choice questions with up to five answers. For each question you are able to upload an image to the particular question, but not for answer choices. Before starting the poll there is an option to make the poll Anonymous or not. This is a great feature if the teacher wants to conduct a survey or do a quiz. The Anonymous feature will work on any of the three ways to submit an answer, however to view the student’s name they will need to use the app or the website so they can login with Facebook. The students will not need Facebook to vote on anonymous only polls. Another downside to Polls is that you must ‘open’ each question for students responses rather than making them all active at one time. If you have five questions, you have to individually open each question. Students will start the poll by launching the iOS app and entering the Poll ID or if the student is near the location of the device where the poll was started it will appear on the “Join A Nearby Poll” list on the app. If they don’t have an iOS device or a smart phone they can visit polls.bb/PollID on a computer or by texting the ‘Join + the poll ID number‘ to (949) 207-6557. OVERALL it is a great app that brings clicker technology to teachers and schools without have to pay for expensive RFID clickers.